"If you go into the woods, Old Crony will get you." Secrets, spies or maybe even a monster... What lies in the heart of the wood? 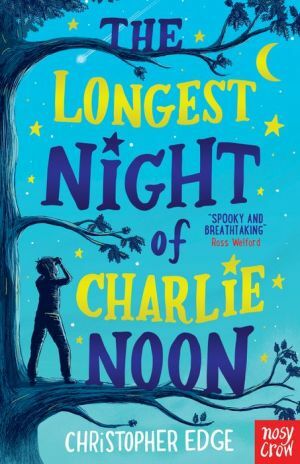 Charlie, Dizzy and Johnny are determined to discover the truth, but when night falls without warning they find themselves trapped in a nightmare. Lost in the woods, strange dangers and impossible puzzles lurk in the shadows. As time plays tricks, can Charlie solve this mystery and find a way out of the woods? But what if this night never ends...? A timeless novel for anyone who's ever felt lost. From the award-winning author of The Many Worlds of Albie Bright and The Infinite Lives of Maisie Day.